If you are wishing to teach grades k through twelve Humanities in the state of Florida, you must pass the 120 multiple-choice question FTCE Humanities K-12 test. 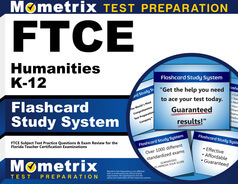 Here at Mometrix, we have dedicated our time and efforts to research the FTCE Humanities K-12 test extensively. Due to this research, we have crafted the FTCE Humanities K-12 practice test. This practice test will comprehensively address the main themes of this test, such as: Vocabulary and Concepts; Historical Periods, Styles, and Movements; Interrelatedness of Arts and Ideas; The Relationship Between a Culture’s Beliefs and Values and Their Expression in the Humanities; Prominent Aesthetic Principles Used By Major Cultures in Evaluating the Arts; as well as Instructional Techniques, Assessment, and Resources Appropriate to the Humanities. 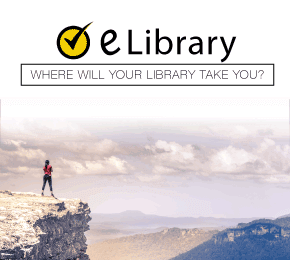 This free practice test, partnered with our FTCE Humanities K-12 study guide, will ensure you improve your chances of passing the FTCE Humanities K-12 test. Mometrix Academy is a completely free resource provided by Mometrix Test Preparation. 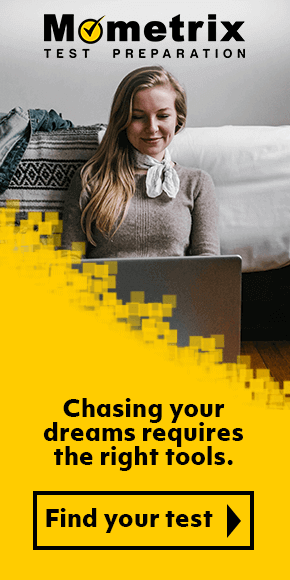 If you find benefit from our efforts here, check out our premium quality FTCE Humanities K-12 study guide to take your studying to the next level. 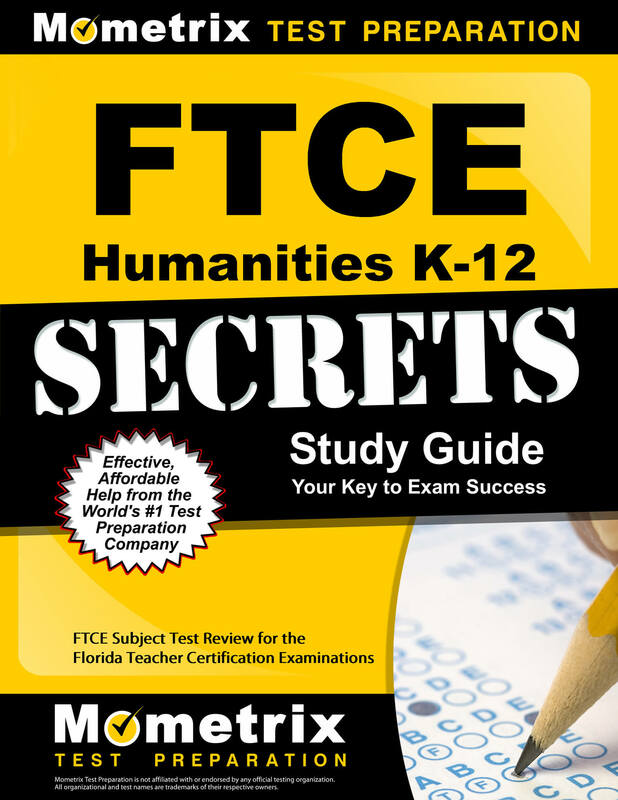 Just click the FTCE Humanities K-12 study guide link below. Your purchase also helps us make even more great, free content for test-takers.